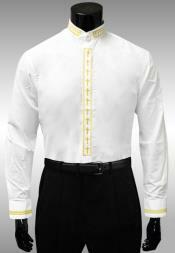 Exceptional Banded Collar Shirts Looking at choices in banded collar shirts on the Internet is something that's easier and more efficient than ever before. 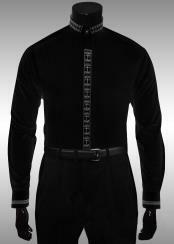 Shoppers can be feel grateful toward MensUSA for that, too. 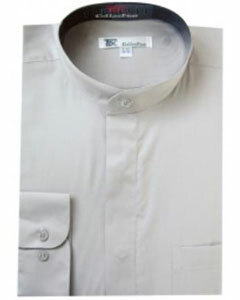 If you're searching for banded collar shirts of exceptional quality, our honest and in-depth online retailer can help you greatly. 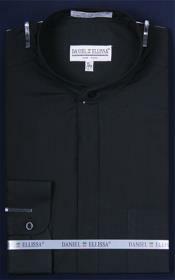 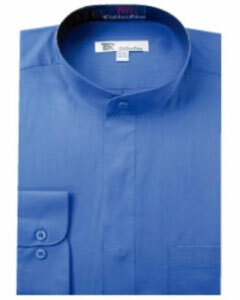 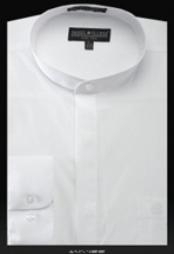 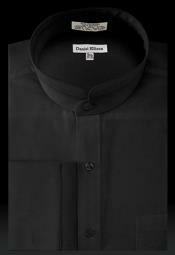 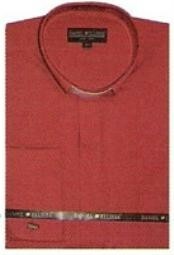 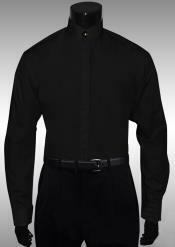 We carry a sizable selection of first-rate clergy shirts for men here. 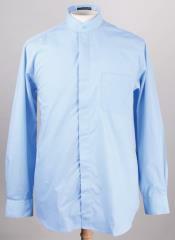 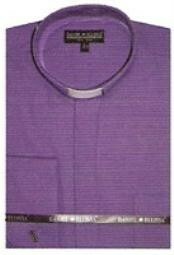 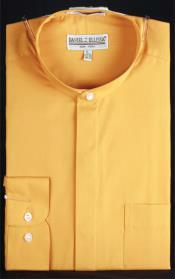 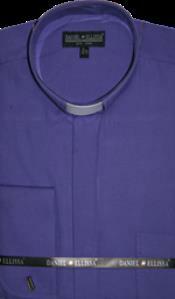 People who want to find the best clergy shirts for men online can count on our extensive assortment of offerings. Our banded collar shirts have many features that are both convenient and appealing. 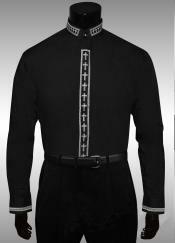 People who are interested in suits with banded collars may want to look into our plentiful options. 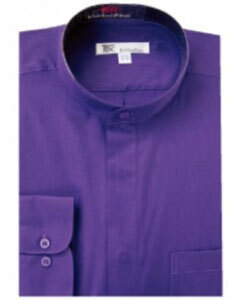 Our clothing pieces can wow shoppers with features such as eight button front closure, self-flap pockets, double rear pockets, flat bottoms, slanted side pockets, lengthy fastening tabs, double interior pockets, side adjusters, belt loops and French fly tab closures. These features can also be extremely helpful to people who appreciate fine clergy shirts for men. 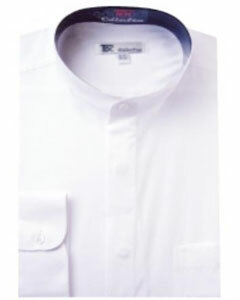 These features can be great for people who love banded collar shirts and suits in general. 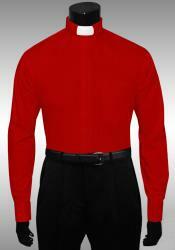 Unhemmed bottoms can be terrific for those who are considering perhaps getting adjustments. French fly tab closures can be terrific for those who want optimal fits. 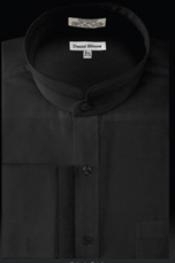 If you're on the lookout for Nehru suits and banded collar shirts, you'll be able to find everything you need right here at MensUSA. 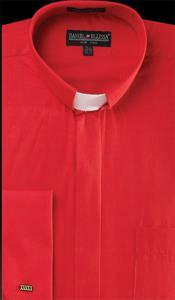 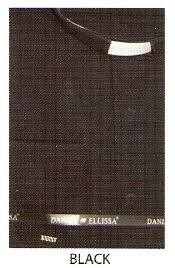 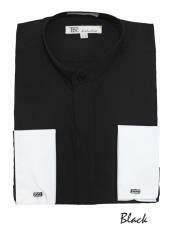 Our available clergy shirts for men are numerous and varied. 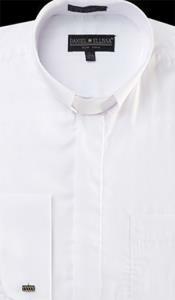 People who are passionate about exploring the finest choices in clergy shirts for men can get behind our many exciting options. 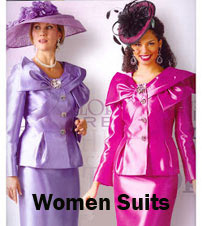 Our suits can be beneficial for people who like custom stitching, too. 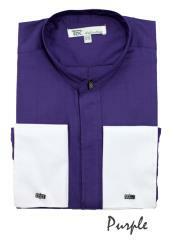 If you're someone who likes to personalize your attire in any way, custom stitching may be a good option for you. 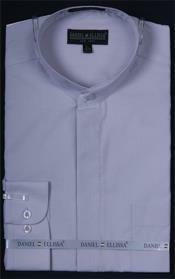 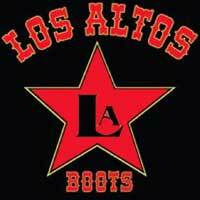 Our customers frequently opt for custom stitching for their pants. 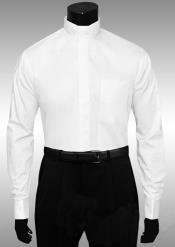 If you want your pleated pants to embody your own individual character and personality, the custom route can be a great one for you. 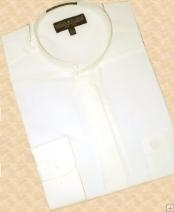 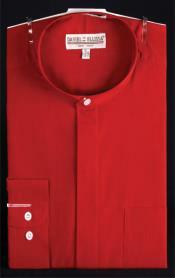 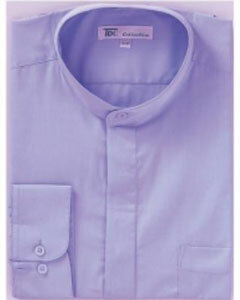 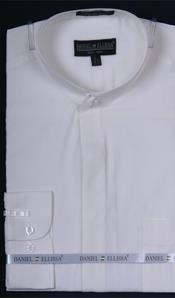 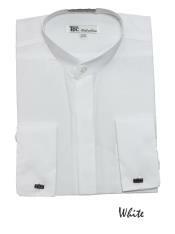 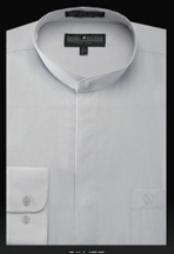 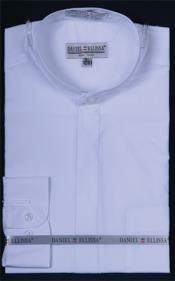 We sell banded collar shirts that are excellent for men who love French cuffs. 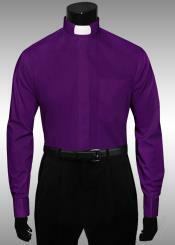 Men who want to shine in formal attire frequently flock to our French cuff offerings. 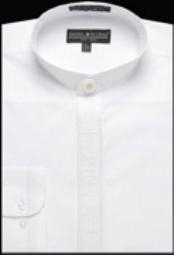 Shoppers who want to buy banded collar shirts that are striking yet classic at the same time often are big fans of our choices. 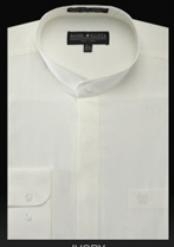 We have an amazing selection of banded collar shirts. 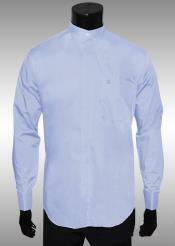 If you need a shirt that's suitable for laid-back events, we can help you. 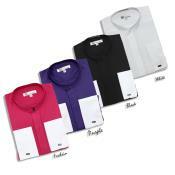 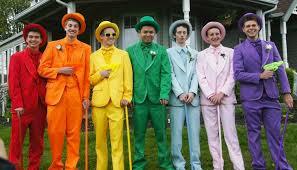 If you need one that's appropriate for formal situations, we can help you, too. 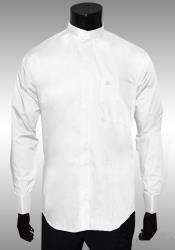 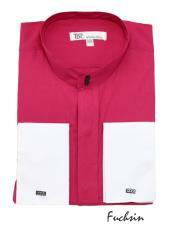 MensUSA stocks banded collar shirts that are the epitome of comfortable. 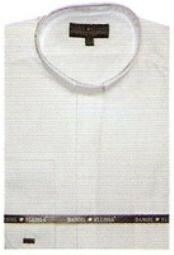 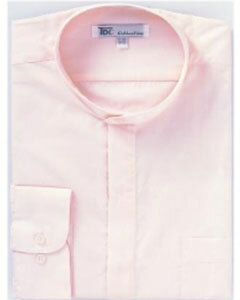 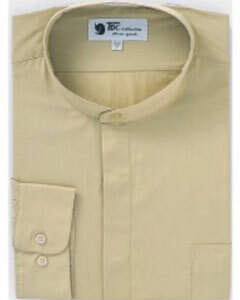 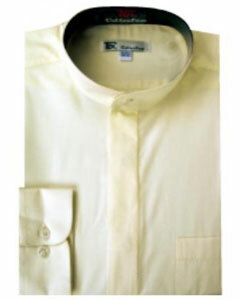 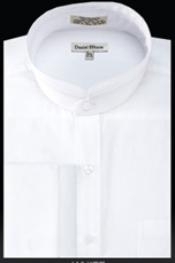 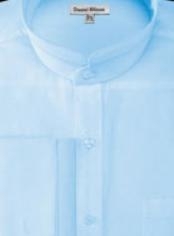 Our banded collar shirts are often full cotton mixes. 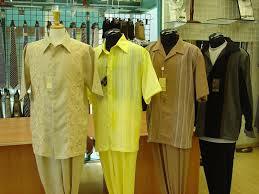 They, as a result, can be highly convenient for the warmer months of the year. 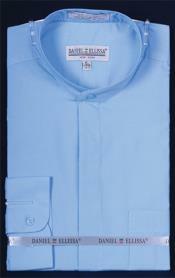 If you're looking for banded collar shirts that can make you feel wonderful all summer long, you'll without a doubt appreciate our thrilling options. 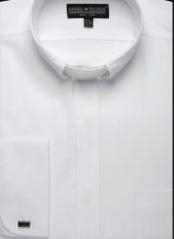 People who want to learn more about banded collars and beyond can get in touch with our affable team any time they wish.